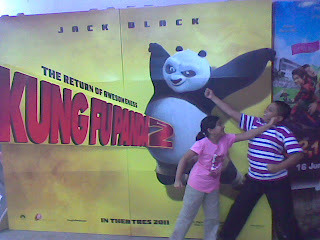 Kung Fu Panda 2 awesome!!! | Life Is Simple LA! This morning,me and my siblings went to GSC Ipoh Parade,to watch a movie that I have been waiting for a long time,other than Transformer 3.The movie full of funny action done by Po(the big fat Panda) and he found the secret about his family and also he get inner peace and fight with it in the ending fight with cannon fires. The movie just played around 100mins and those who havent see it,watch it!! !.